Unique design with ecological responsibility can be found in all EcoFurn furniture. What immediately stands out in the EcoFurn furniture is its unique design. The furniture not only looks good but they are also designed in a very special way, such as without additional metal parts. Instead, hemp rope is used. This combination of unique design and the use of hemp ropes creates an eye-catching piece of furniture that has a very special character and beautifies your home both indoors and out. Hannu Lehtonen, one of the founders of EcoFurn, grew up as a native Finn in the midst of forests. Wood surrounded and always accompanied him. So it is not surprising that he became interested in the wood trade and set himself the goal to produce unique furniture made of Nordic timber. Together with two friends, he began to experiment with different designs and types of wood. 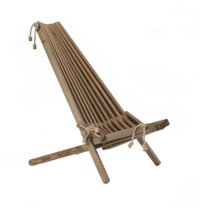 The first products were made quickly from various wooden slats, which were used for heating. 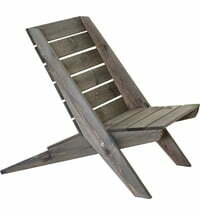 At some point, however, Lehtonen began making chairs out of these slats, from which the EcoChairs were created. This EcoChair continues to be the foundation of the EcoFurn brand, with plenty of growth in the product range. You can choose from more than 20 different models. Today, EcoFurn employs about 50 people in Finland and Estonia and exports their products to over 40 countries around the world. All EcoFurn products are based on Nordic timber. These are FSC certified. Hemp ropes are mostly used for the assembly. Not only does the furniture look more natural, but they are also more flexible. 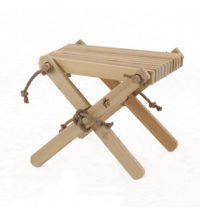 This makes placement on uneven ground possible - the chairs are stable and safe. Sustainability and reusability are top priorities in design. The designers draw inspiration from the Finnish nature - the endless forests, crystal-clear lakes and the peace they donate. Every EcoFurn product is 100% recyclable. Care is taken during production to ensure that no environmentally harmful waste is produced. Any accumulated wood waste is processed into pellets and briquettes for heating. The aim is to produce such ingenious wooden furniture that people automatically resort to these products and not to plastic alternatives. Beautiful, innovative design, sustainability and the highest possible quality: these features combine every piece of furniture from EcoFurn. This creates a unique alternative to traditional pieces of furniture, which is not only cosy but a real eye-catcher in every home and every garden. At Interismo you will find a well-stocked selection of EcoFurn's most popular products. Discover here now.